Selcuk Atli likes to make things. One of the things he likes to make is music. A gifted singer, songwriter and guitarist, Atli has been making music since he was a teenager back in his native Turkey. He just independently released his latest album with his band called The HMMS. However, Atli is better known for another thing he likes to make: companies. A prolific serial entrepreneur, Atli has created five companies in nine years and has led three of them to successful acquisitions. His latest has the opportunity to be a game changer…literally. It’s called Bunch. Bunch is a group video chat app that makes it easy for people to socialize while playing games on their smartphones. Here’s how it works: with a couple of taps, a user with the Bunch app on their phone can invite up to eight of their friends into a live hangout session. Then everyone in the session can opt in to play the same game at the same time and interact via voice and video while doing it. Bunch comes bundled with its own native mini-games but also integrates with a sizable catalog of third-party mobile games, including Fortnite, Roblox and HQTrivia. It brings a real-time social dimension to a class of digital games that were once only associated with isolated one-player or asynchronous turn-based experiences. While there’s certainly no shortage of social media apps in app stores nowadays, it doesn’t hurt that the space that Atli is looking to add a social twist to is as big as it’s ever been. The global gaming industry generated $121.7 billion in 2017 according to market researcher Newzoo, a figure that eclipsed the global film industry’s take, which was $40.6 billion that same year, according to the Motion Picture Association of America. And that figure is only set to grow with secular trends like massive multiplayer gaming and esports continuing to fuel the market. Indeed, Atli and his co-founders, Jason Liang and Jordan Howlett, were eerily prescient in sensing that the next big shift in multiplayer real-time gameplay would be from desktop to mobile. When they first started pitching the idea for Bunch to venture capitalists in mid-2017 they got a bit of a cold shoulder since there were no signs such a shift was on the horizon. Then, a few short months later, major runaway hit desktop game titles such as Fortnite, PUBG, Minecraft and Roblox started making the unexpectedly successful move to mobile. This, and the emergence of new fast-growing mobile-first game publishers such as Game Insight (maker of Guns of Boom), provided the marketplace signals that Atli and his team needed. Funding soon followed: Bunch closed a seed round of $3.8 million in November of 2018 from venture firms including London Venture Partners, Founders Fund and Betaworks. Although Atli’s major previous wins as a startup founder were in the B2B space, he actually started his career in the consumer gaming arena. At the ripe age of 12, he partnered with a school friend to create the first and most successful online gaming magazine in Turkey at the time. Atli would later find his way to Silicon Valley after graduating from college as valedictorian in his hometown of Istanbul and earning two master’s degrees: one in product and music from Politecnico di Milano in Italy and one in information technology from Rensselaer Polytechnic Institute, where he studied as a Fulbright Scholar. 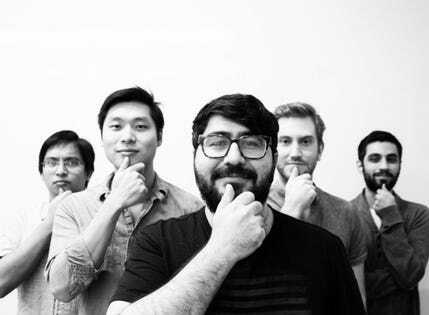 Once in the Bay Area, Atli would found a duo of back-to-back B2B startup hits: Manifest, an advertising technology company that was acquired by Rakuten Marketing and Boostable, a Y Combinator-backed advertising tool for online marketplaces, that was acquired by Metric Collective. Atli’s entrepreneurial success paved the way for him to become a venture capitalist at leading startup incubator 500 Startups, where he funded and advised several early-stage ventures. He then raised funding from 500 Startups himself to strike out on his own again and form a startup venture studio called Z1. It was at Z1 where Alti would meet his Bunch co-founders Liang and Howlett, both tech veterans with deep skill sets in mobile. They iterated on a few different ideas until they felt like they struck gold with Bunch. “We built the prototype for the application and we used it for the first time and were like, ‘Wow, this is like very different than anything we’ve seen on our phones,’” says Atli. Atli and his team have shelved all activity at Z1 to go all in on Bunch. Monetization is not a near-term concern for the team as its focus is growing Bunch to be as big as it can be. Atli is confident that the money will come through proven playbooks if Bunch reaches scale. And while Atli won’t share exact metrics on Bunch’s early traction (the app has been publicly available since March of 2018), he notes “it’s growing nicely” and recently broke into the top 100 apps of the social category in the iOS app store. Although Atli is keeping an eye on how well his newly released album with The HMMS is doing, he’s unquestionably more focused on seeing Bunch rise up the charts. And rightly so. It may be his biggest hit yet.